Mobile/cellular phones are getting more and more advanced... well, actually not more advance, just more functionality is being added to them. You can now organise your life, surf the net, take photos, record videos, play music, listen to the radio, watch TV, and... oh yes, make calls. This is all well and good for the techno-junkies and kids who just want more and more from their phones, but what about people like mum who just want a damn phone to make calls and send text messages? They're stuck struggling through the kazillion menu options just to find the number they want to call and don't use half the functionality available. 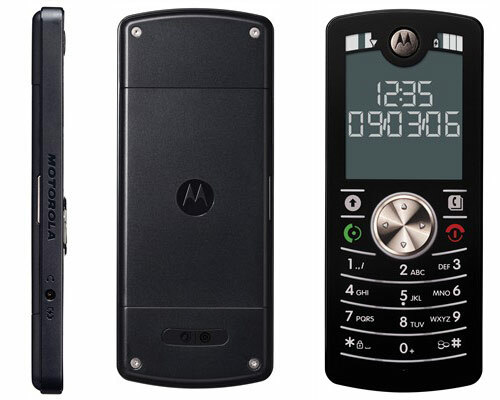 Well, struggle no more - Motorola has just released a new phone that is just a phone - the MOTOFONE. No camera, no videos, no 3G, no internet. Just good old calls and text messages with a clear and intuitive (apparently) icon based, high contrast interface. It's not a huge, ugly cumbersome thing either. The battery life on this thing must be amazing too. I think this phone is going to sell really well. It shouldn't cost a lot and does what it says on the tin. I don't use my phone much, so I may just have to consider getting one of these chappies myself.